CFM is looking forward to participating in #GivingTuesday this year. #GivingTuesday is a global day of giving that harnesses the collective power of individuals, communities and organizations to encourage philanthropy and to celebrate generosity worldwide. This year’s #GivingTuesday will take place on November 27 and will kick of the season by inspiring people to give back. This #GivingTuesday CFM is focusing on the future of conservation. As we all know, the future depends on our children. It depends on the child who just shot their first buck during youth season. It depends on the child who loves flipping through photos of wildlife. It depends on the child who looks forward to the family camping trip each year. It depends on the student who pursues a career in conservation. In order to embrace our future conservationists, CFM is focusing our #GivingTuesday efforts to support and raise funds for conservation education. This year CFM is highlighting the Conservation Leadership Corps (CLC). CLC is a program for high school and college students interested in careers in conservation and natural resources. CLC is dedicated to developing the next generation of conservation leaders. 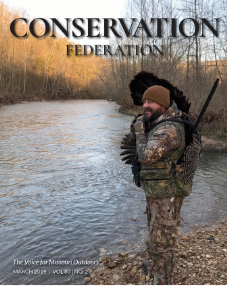 The program focuses on engaging high school and college students in the conservation of our natural resources by teaching them conservation advocacy and policy development as well as leadership and communication skills. 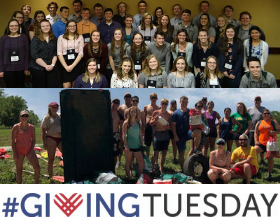 Consider supporting the Conservation Leadership Corps this #GivingTuesday with your donation. Look for more information on Tuesday, November 27th.